How old do you think your hair is? Is your hair as healthy, and as young as your actual age? 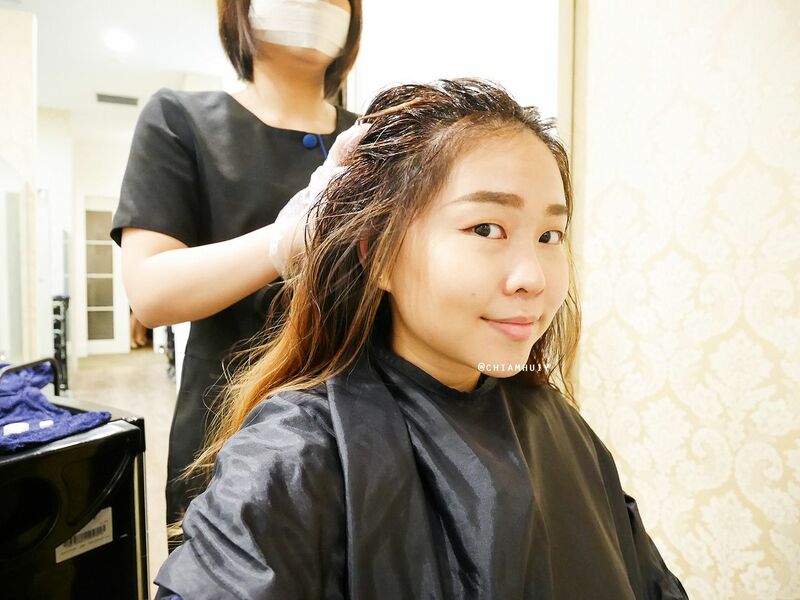 One of the indicators to tell whether your hair and scalp is really healthy is to go through the “Advanced Tricho Hair Test”, and here's me trying to determine my hair age from TrichoKare. We have heard so much about Ageing Skin, but have you actually heard about Ageing Hair as well? Just like our skin, our hair ages as time goes by. 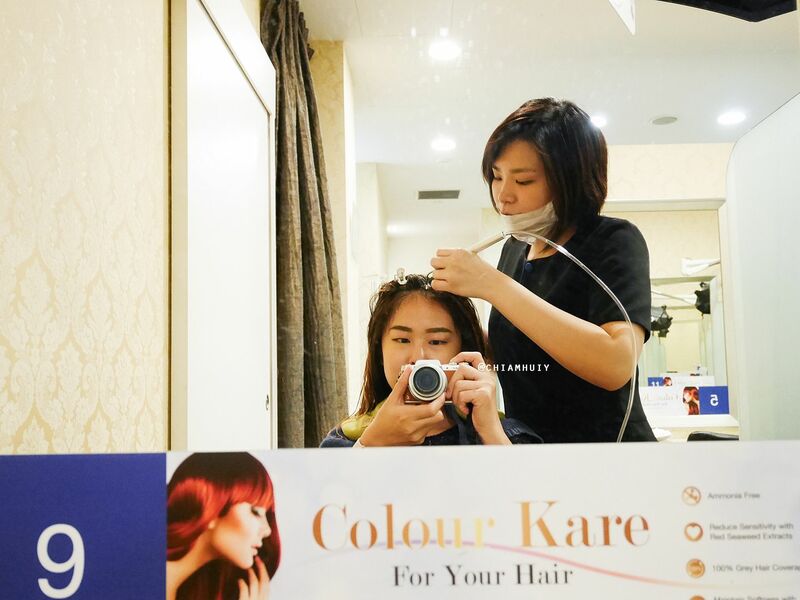 According to TrichoKare Senior Trichologist Jane Ang, pigment cells also decrease with age, thus slowing down the production of melanin and resulting in greying hair. 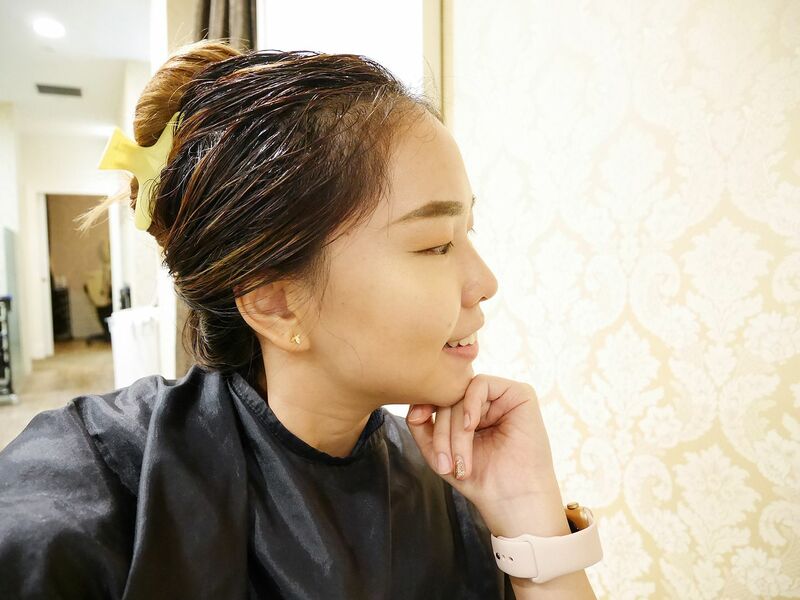 There’ll also be lesser and lesser collagen and elastin overtime, causing the hair to become drier and more brittle. 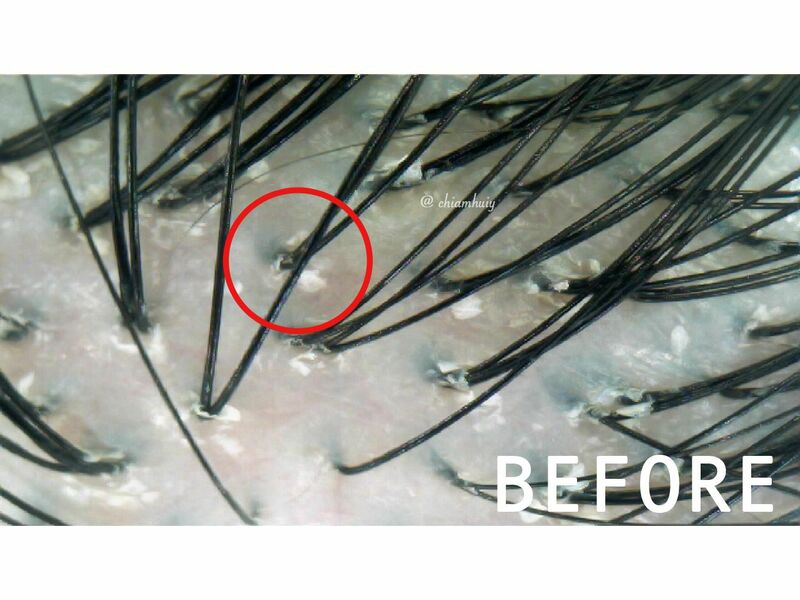 Of course, not forgetting there’ll also be shrinking of the hair follicles, which is the reason behind thinner hair. 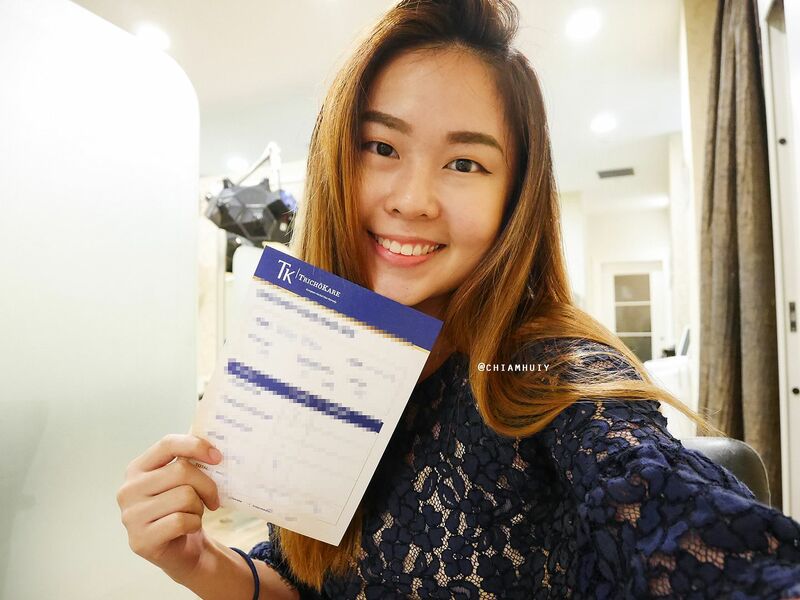 I had the opportunity to visit TrichoKare to try out their Award Winning Hair Treatment - Advanced Age Defying Hair Treatment. 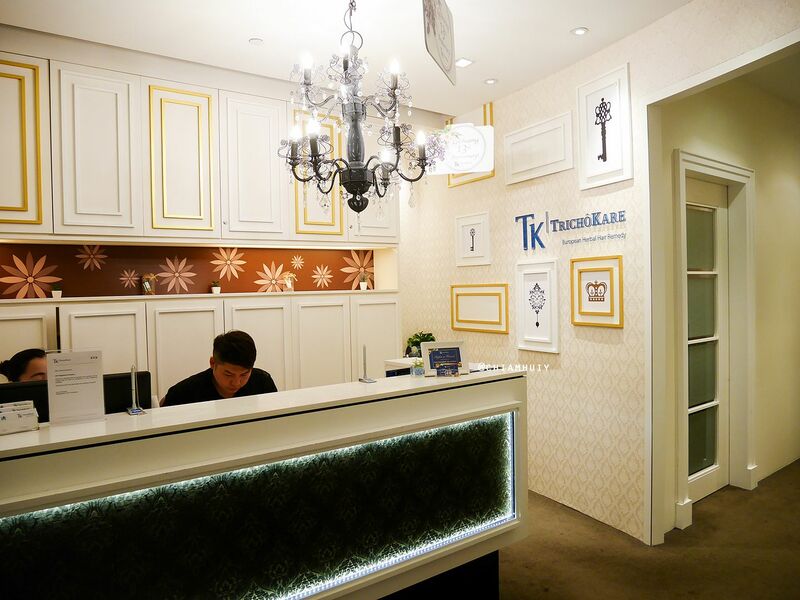 TrichoKare, a leading Trichological centre that provides expert solutions on hair and scalp problems have been operating in Singapore for over 13 years. 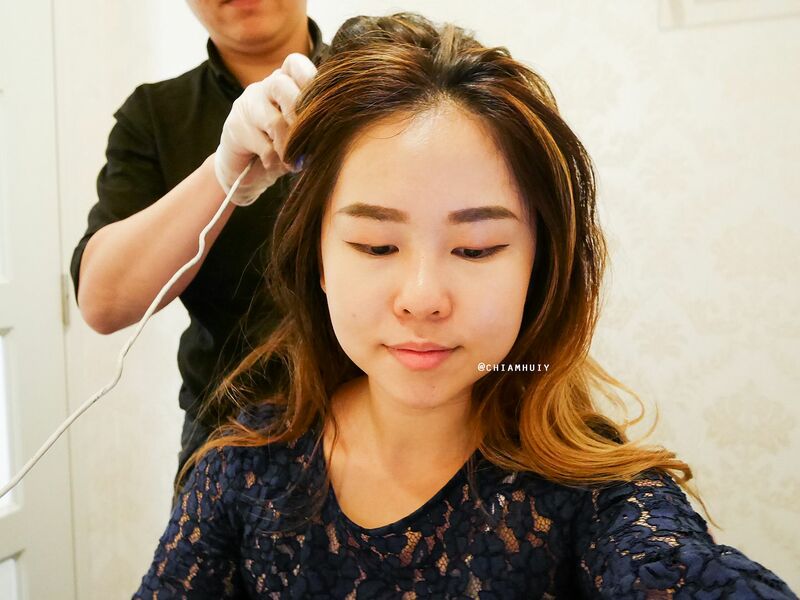 They have Trichologists to diagnose scalp problems and recommend the treatment that suits your condition, so as to effectively solve hair and scalp problems. TrichoKare’s hair treatment are all customised based on individual hair and scalp conditions and they use only premium European botanicals which have been proven to have medicinal benefits on the hair and scalp to promote hair growth. 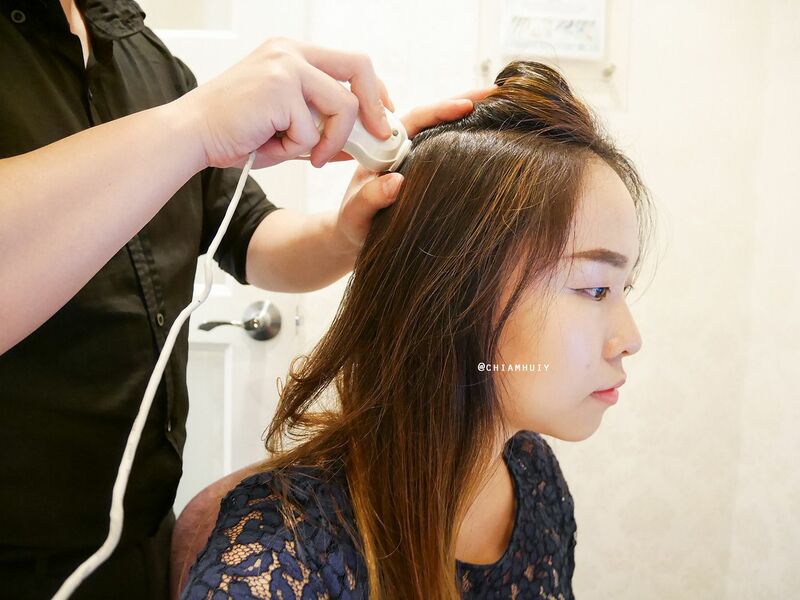 Before the treatment, I had my scalp scanned and assessed by a certified Trichologist, using their Advanced Tricho Hair Test. 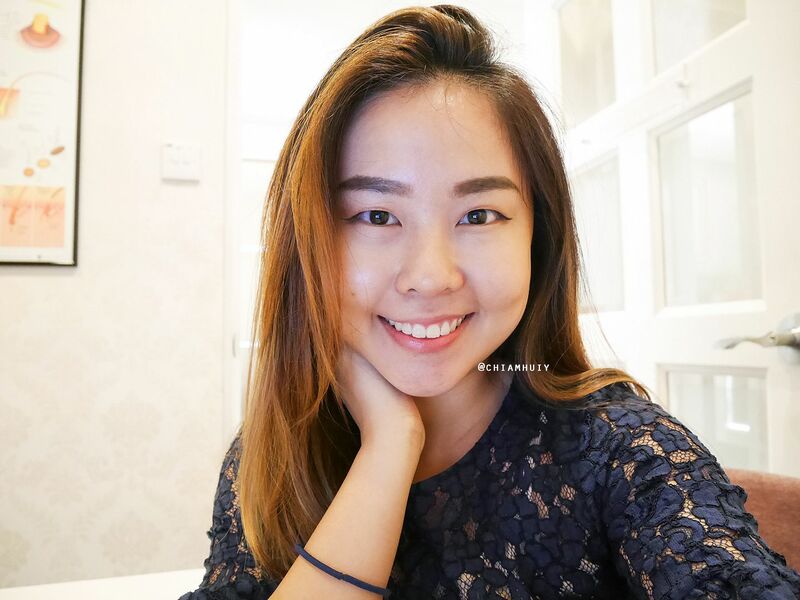 Can you guess how old is my "hair"? Turns out, it was 35 years old, a good 10 years older than my actual age! The Trichologist diagnosed that my scalp was excessively greasy. Most of the hair follicles are clogged with oil sebum, which in turn impedes hair growth. 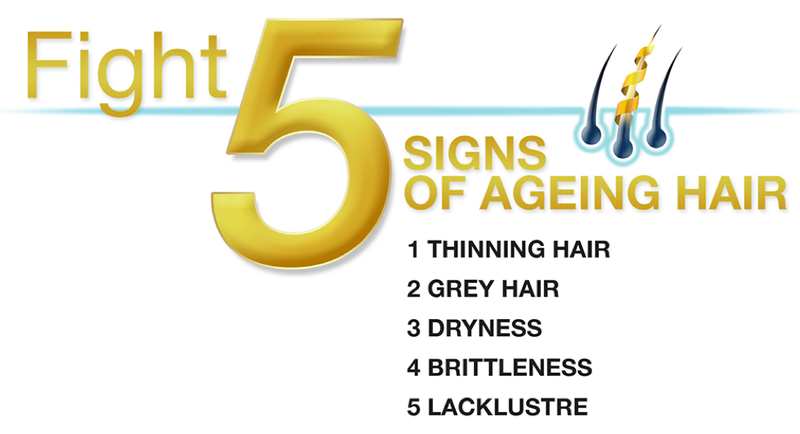 With this, the "old hair" starts to fall off and that's when hair loss, hair thinning and brittle hair symptoms occur. Surely not a good news for me. This detoxifying hair masque using the 3D Scalp Pre Peeler helps to deeply cleanse my hair and scalp by removing impurities and excess sebum. At the same time, it also regulates and soothes the scalp to reduce redness. The entire process takes up to 20 minutes to allow my scalp to detox and absorb the nutrients, and I have to say it was really enjoyable. 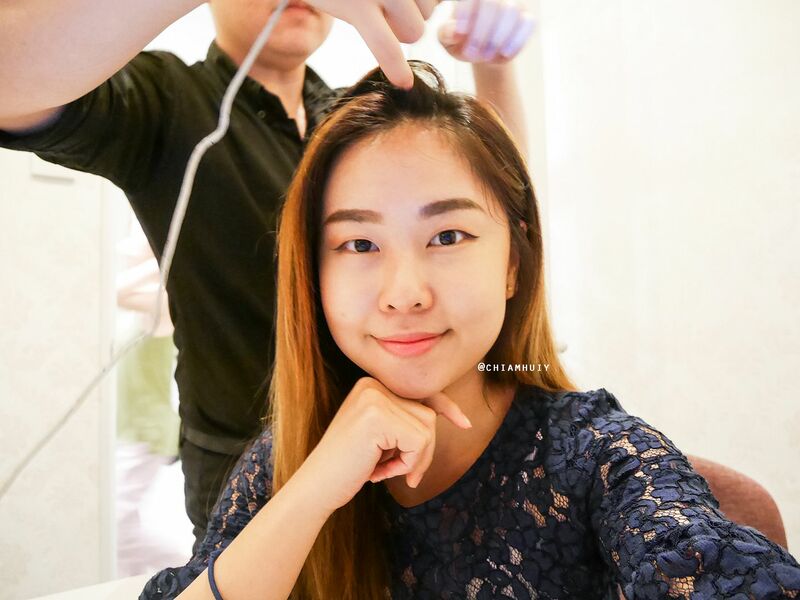 The hair wash was professionally done by one of their hair expert. They massage each and every single pressure point and the soothing botanical hair wash will deeply cleanse and regulate the pH balance of your scalp and remove the dead skin and grime. Next up was the Oxyjet Technology. The Oxyjet Technology isn’t foreign to me because my facial usually contains this step. 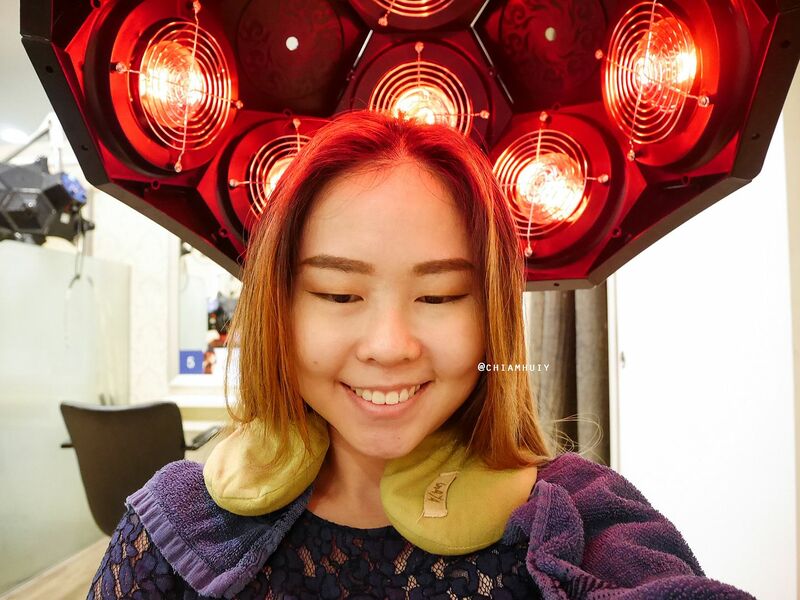 But I was quite surprised even scalp treatment can have this technology too. 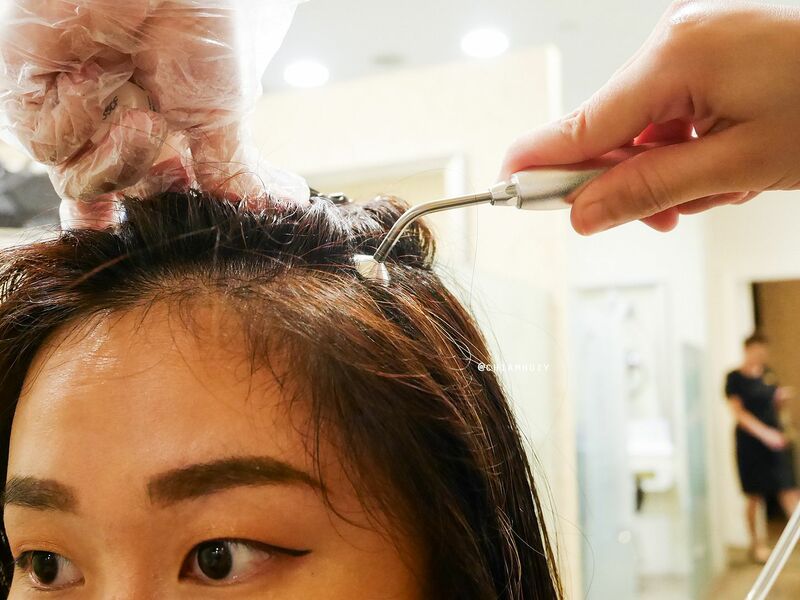 Basically what it does was to use air pressure jets which are an infusion of 98% pure oxygen and nutrients to shoot deep into the layers of your scalp. Paired with an ampoule that was selected specially for my greasy problem, the active ingredients in it are able to penetrate deep into the scalp without needles, which means it is gentle and definitely safe. This step also helps to improve blood circulation and encourage the production of collagen, which in turn improves hair growth and hair fall control. its former glory while soothing your scalp. And viola I’m done! The whole treatment process from diagnosis to treatment took about 2 hours. I would say, go ahead, give it a try and enjoy the session! Plus, those head and shoulder massages are terrific. Can you actually see how much cleaner my scalp has become? I felt like my hair and scalp are significantly cleaner than I have ever felt before, and the scans of my scalp taken after the process certainly showed it. 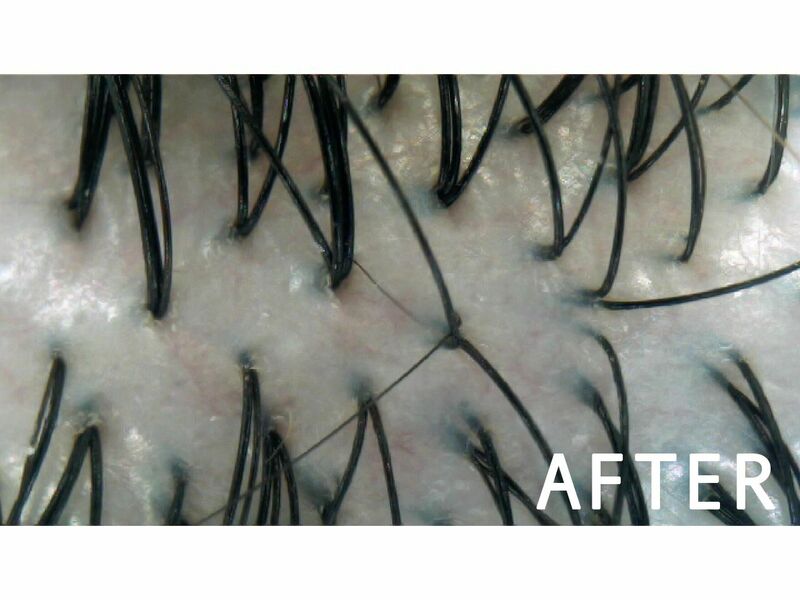 In the Before and After scans, you'll notice those dry flaky skin being almost completely removed. Hair follicles are now visibly cleaner in the After scans. That really makes a big difference to some one with greasy scalp problems, like myself. Just by looking at the comparison actually makes me feel really satisfied. 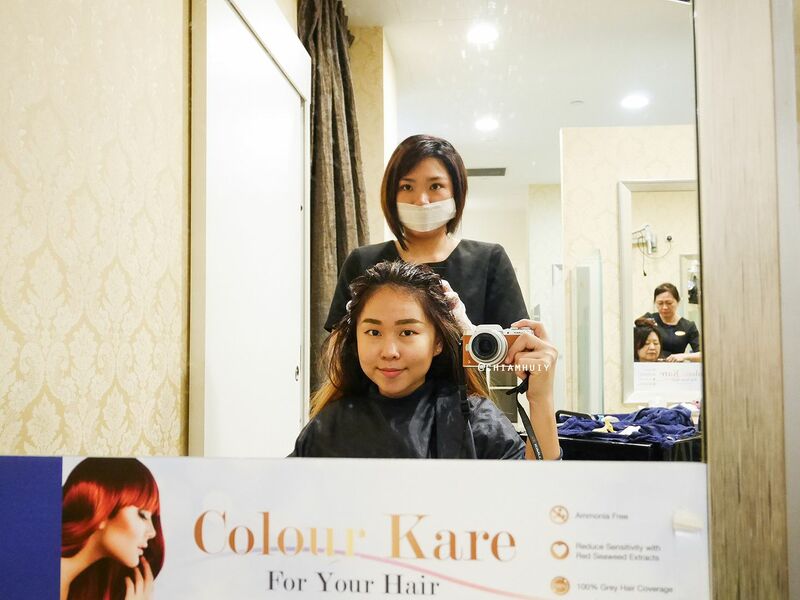 only $39 nett including Free HairGRO Ampoule + TrichoTech total worth $758!!! Redeem it here. 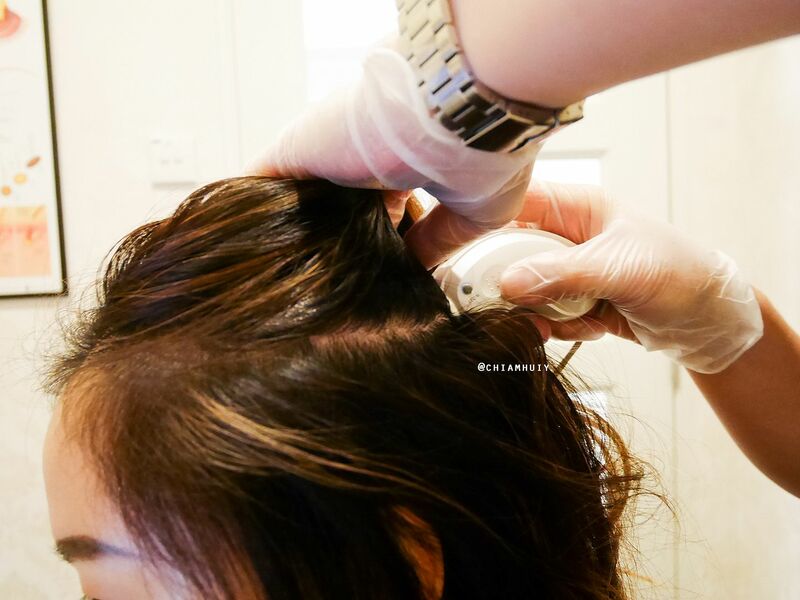 hurt to do the scan and see the condition of your scalp, to know if you face any scalp issues.